FOR IMMEDIATE RELEASE: Lewiston, Maine (August 18, 2016) – On September 10, 2016 New England Fights (NEF) returns to Lewiston with its next event, “NEF 25: HEROES & VILLAINS.” Earlier today, NEF announced the addition of a professional bantamweight mixed-martial-arts (MMA) bout to the fight card. 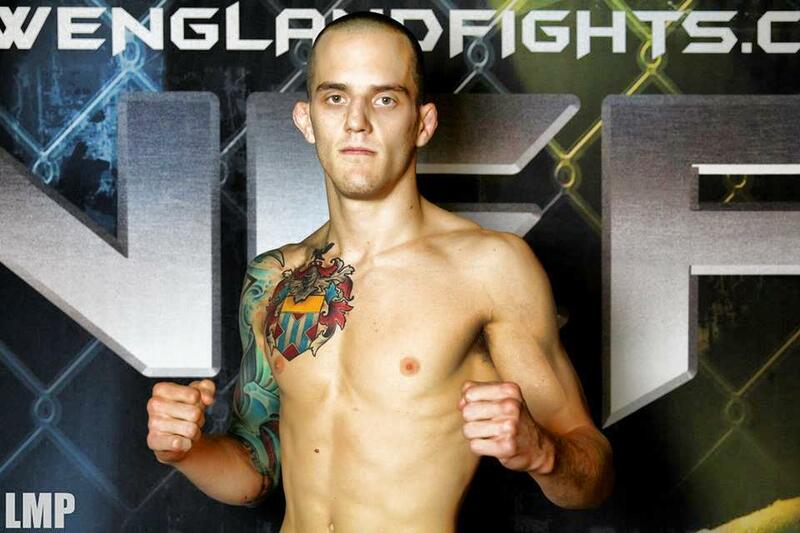 Elias “Danger Mouse” Leland (2-1) has signed to meet Walter Smith Cotito (3-4) at a fight weight of 135-pounds. Six of Leland’s combined seven amateur and professional MMA fights have taken place in the NEF cage. The Portland, Maine resident’s only loss to date in NEF was in his last fight against Jay Perrin (2-2) in the spring of 2015. Late last year, Leland made his pro boxing debut in the NEF ring, taking Josh Parker (0-3-1) to a draw on the judges’ scorecards. He has proven to be strong in both his standup and on the mat. Leland, a member of Jay Jack and Amanda Buckner’s The Academy of MMA in Portland, is a dangerous opponent no matter where a fight ends up. Walter Smith Cotito is no stranger to the NEF cage. In September 2013, Cotito shocked Maine fans by submitting former NEF MMA Pro Lightweight Champion Bruce Boyington (13-8) in the first round of a bout at “NEF X.” Most recently, Cotito competed at Bellator 144 in Connecticut. He holds a black belt in Brazilian Jiu-Jitsu, and is based out of Team Link in Hooksett, New Hampshire. “I think this kid is really brave to take a fight with me, but I will make sure I’m his worst nightmare,” exclaimed Cotito when reached for comment.